We offer a wide range of MS Clamps in the market. 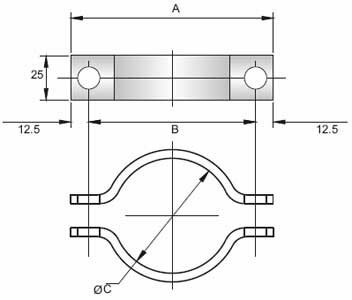 Our range of MS Clamps includes Half Round Clamps and Full Round Clamp. These MS Clamps fit well with different kinds of materials such as pipes, junction boxes, conduit pipes, tubular poles. Street light poles, signal poles etc. Our MS Clamps that we offer are strong, durable and corrosion resistant. They are available in customized specifications as per the requirement of the clients.